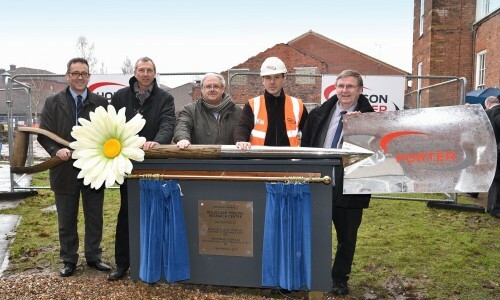 On February 19th, the foundation plaque for the new molecular imaging research centre at Castle Hill Hospital was unveiled by Professor Nick Stafford, chairman of the Daisy Appeal charity and Professor Susan Lea, Vice-Chancellor of the University of Hull. 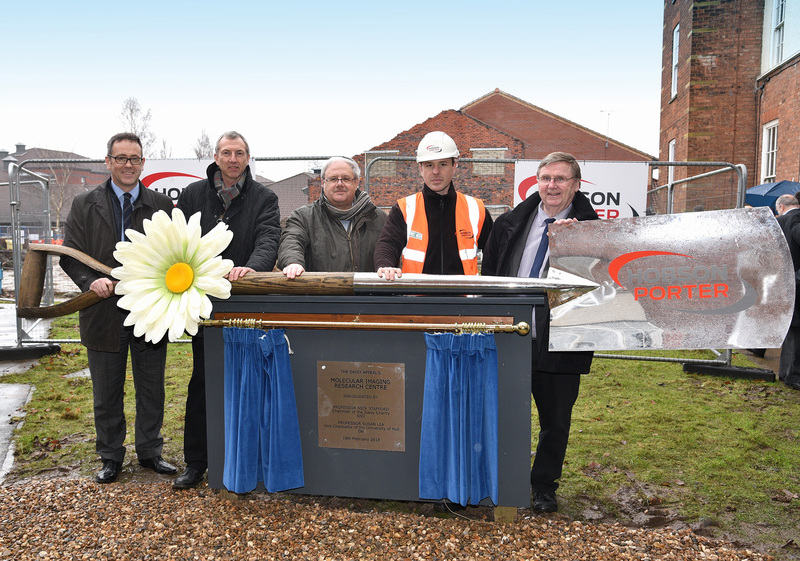 Hobson & Porter is the main contractor for the construction of the centre, which is a partnership between the Daisy Appeal, the University of Hull and the local NHS, to translate scientific and medical research advances into clinical use. 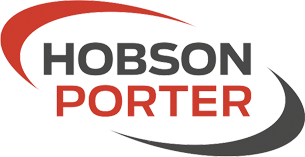 It is being built adjacent to The Jack Brignall PET-CT Scanning Centre, for which Hobson & Porter was also the main building contractor. The building was opened by Virginia Bottomley in 2014. The new research centre will house a GENtrace 600 cyclotron, which will enable researchers to create the ‘customised radiotracers’ that are needed to detect the early signs of cancer, cardiovascular disease and dementia. Also at the unveiling of the foundation plaque were representatives of GE Healthcare including Mr Trevor Boanas (Trustee), Dr Assem Allam (Trustee), Lars-Olof Arlasjo (GE Healthcare Consultant) and Martin Orbe (GE Healthcare Product Manager Cyclotrons). The site team is currently undertaking enabling works, diverting services and drainage from the main building to the site of the new building. 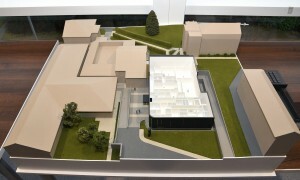 As 60% of the footprint of the new building lies on the site of a now-demolished building, the existing floor slab will be broken up after the enabling works are completed. This marks the beginning of the construction phase, which is likely to be mid-April.